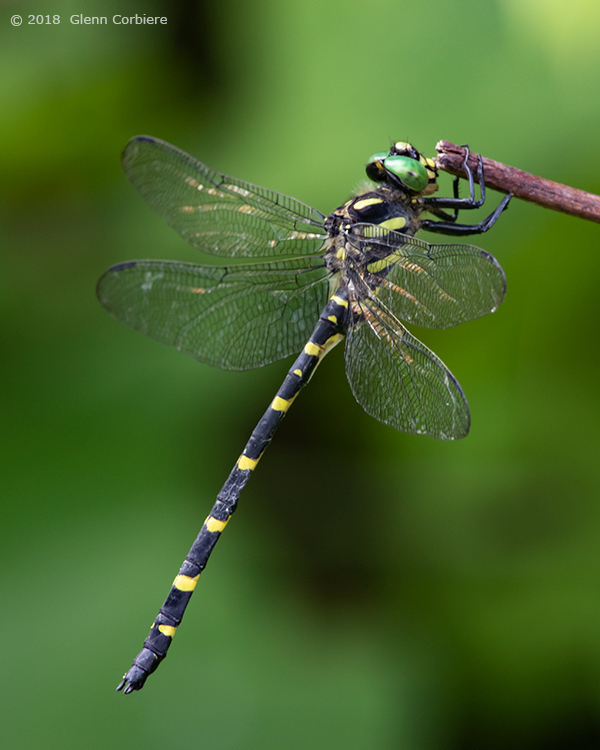 Cordulegaster erronea (Tiger Spiketail), male, at Amherst, Hampshire County, Massachusetts, 8/5/2018. This individual is from the first documented breeding site for this newly recognized Massachusetts species. Copyright 2018, Glenn Corbiere. Image not to be used without permission.